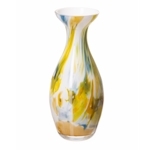 White vase with brown/yellow pattern on outside. 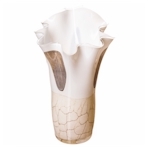 Light brown/black pattern on outside and white inside. 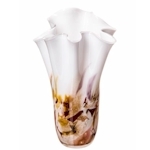 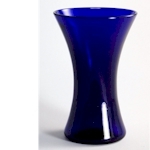 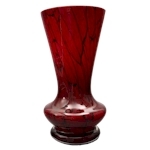 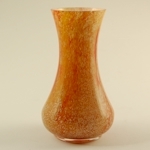 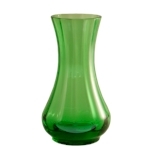 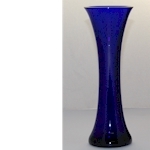 150 mm high waisted vase. 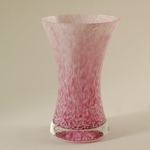 Magenta and white cased in clear glass. 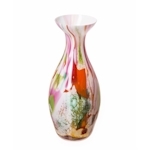 A vibrant eruption of colour, cased in clear glass.